I have had three different conversations in the last few months that went something like this: I meet someone new and we discover we both work in the construction industry doing construction or project management. We ask about the types of clients and projects we are involved with. When the other person hears me say that my firm specializes in working on existing buildings doing renovations or reconstruction projects, they shake their heads and say something along the lines of “Oh, that is so much harder than what I do. New construction is easy compared to what you have to do when you are working in existing buildings.” I agree, but you might be wondering why they all think that. Here are some of the reasons they all shared. One of the challenges that almost all my firm’s projects have in common is that they are occurring in spaces that are still being used. 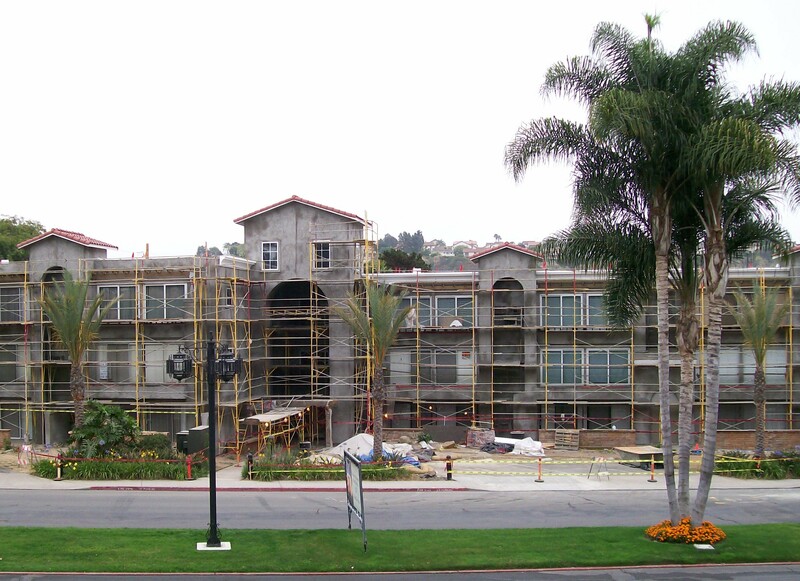 Frequently, we are overseeing a project occurring on the outside of a building, while people are still living inside. We have also done a number of projects where we have corridors, walkways, driveways, or other circulation systems being worked on; which means we need to coordinate our work with the needs of the building users to come and go. The other challenge of working in occupied space is that you cannot just tear into everything and leave it; every aspect of the project has to be coordinated and phased so that the building can continue to be used by the occupants. These are challenges that simply do not exist in new construction. A corollary to the challenge of working in occupied space is the challenge of communication. In new construction, the project manager needs to communicate with the contractor and keep the client in the loop about what is taking place. In renovation and reconstruction work, absolutely everything about the project needs to be communicated not just to those folks, but also to the building users. We have adopted a communication plan that includes upfront communication with residents and users prior to work starting, laying out the big picture of the project, coupled with ongoing updates and detailed communication. This keeps everyone in the loop and cuts down on, but does not eliminate, complaints and questions during the course of the project. Because we cannot eliminate complaints and questions during the project, we also make sure that residents and users have the contact information for our project manager so that they can reach out and receive accurate information and solutions to their individual concerns or issues. The final challenge that came up in each of these conversations is the challenge of working with existing buildings and needing to manage the inevitable inaccuracies, existing conditions, and concealed issues. In new construction, once the project is coming out of the ground, everything is known and in the control of the project team. In a renovation or reconstruction project; everything the team does is being done to an existing building and must work regardless of what unexpected or concealed challenges come up. We have projects where there are no drawings of existing conditions, where walls are not square or plumb, where something was done along the way that is not to code and needs to be pulled out and redone, and many more. While our team is very good at anticipating what the contractor might uncover and how we need to make plans to realize the final result; we still have to accept that things will come up that we could not anticipate but that we now need to deal with. I love working on renovation or reconstruction projects. I find it to be rewarding and challenging. But it is always fascinating and gratifying to hear other professionals in the industry express their admiration for the work we do for our clients. Matthew C. Boomhower is the founder and president of Southern Cross Property Consultants; a construction management, architecture, and facilities management consulting firm. He is licensed as both an Architect and an Attorney. He can be contacted at matthew@southerncrosspc.com.